This project is for the construction of 4 small trail bridges. Each bridge is 30 foot in length. 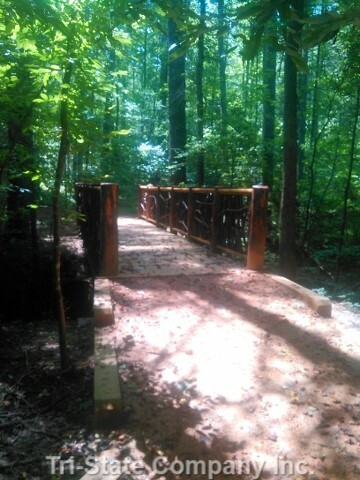 Included in this project is the construction of about 4000 linear feet of new trail construction on the Fonta Flora Trail, including construction was 140 linear feet of wooden crib trail 18 inches in height and a low water crossing of large flat stones laid in the creek.